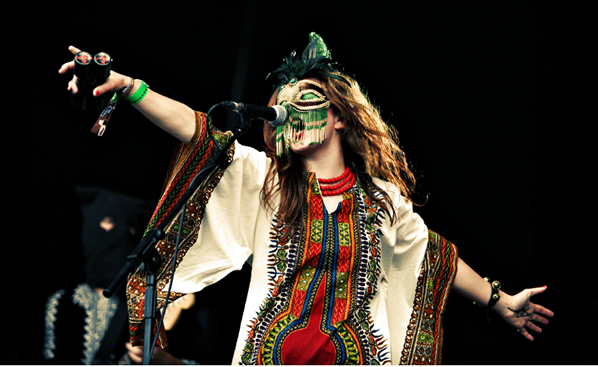 What an awesome event was Glastonbury Festival for those lucky enough to be there, an amazing range of bands, which thanks to the wonders of various technology people from beyond England were able to watch via the online streams by the BBC. Don’t you just love proxies! Having worked out the time difference was very pleased to have seen a number of acts the following in particular were favorites, if you have not yet heard their music do check out GOAT, Seasick Steve, and Calexico. 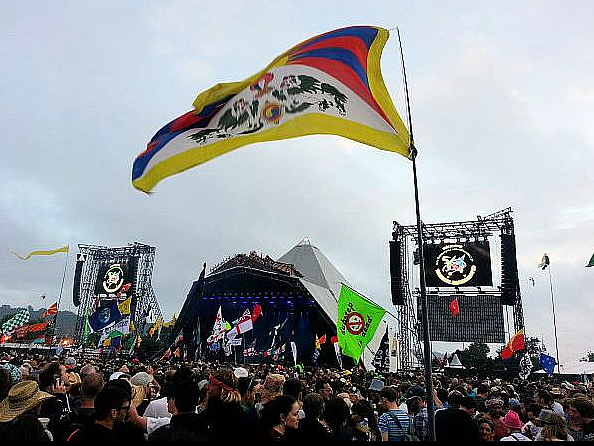 We received a whole lot of emails and messages saying how folks had spotted Tibet’s flag at the festival, thanks to all for contacting us and our friends over at Twitter, it was great hear about the very positive support for Tibet at Glastonbury and @tibettruth did another great action in getting the truth out there. Special appreciation must go to the many Rangzen Warriors who attended the festival, in particular though our genuine thanks to @jtspurs @sachab and @xDharmaPunkx for making sure that the national symbol of Tibet was flying high over Glastonbury.